A cruise ship full of golfing men might not sound all that appealing to female golfers already used to being outnumbered by men at their local course. 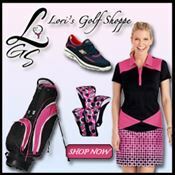 But with the rising popularity of golfing among women and the ability to combine travel with your passion, a golf cruise is a great idea for any women looking to both play golf daily and enjoy the type of vacation available on a cruise ship. Cruising means you can have days of lounging under the sun by the pool, nights of good food and good wine and still wake up each morning in a different place, at a different golf course and indulge your love of the game. Golf cruises are also ideal vacations for groups. 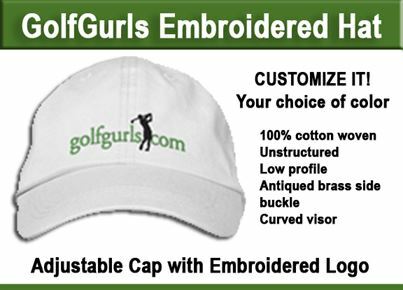 If you have a group of golfing girls at your local course that you frequently play with, then why not play together somewhere more exotic and add some regular, fun vacation time into the mix. Golf cruises can take you all over the world, from the Caribbean to the Mediterranean, from Hawaii to the Baltics. Depending on where you want to play and the places you’ve always wanted to visit, a golf cruise can marry both good fun and good golf into one vacation. Depending on the package, green fees, carts and gratuities to staff and caddies might well be included in the price. Transfers to and from each course will be included, along with snacks and meals either on-board or at the links each day. Many golf cruises also run casual tournaments for the duration of the trip, so you can pit your skills against the boys, or have a small, intra-group or women’s-only tournament to see who the best golfer is on-board. As well as opportunities to play on the best golf courses around the world, golf cruises also have a number of other golfing attractions that can allow you to improve your game. On Iglu Golf cruises PGA professionals are available for coaching, either in a group or on a one-to-one basis for those looking to improve specific aspects of their swing or gameplay. This coaching is an invaluable part of the cruise experience, and lets you use the cruise as a learning opportunity and a way to raise your game, rather than just a ferry from one course to the next. Many ships also have driving ranges on-board so you can use the voyages between ports to improve your swing, and some also have putting and mini-golf on the decks to help you improve your that aspect of your game as well. Cruise lines will also employ professionals to look after and maintain your golf equipment for the duration of the voyage, meaning you can hand in your clubs and bags when you get back on board and know they will be ready for you at the next course the next day. Many operators will even loan you equipment. This is particularly helpful if you are flying to meet the cruise ship somewhere and don’t want to add the extra, cumbersome luggage of a golf bag and clubs to your trip. The usual trappings of a cruise holiday are also available on all golf cruises. There are restaurants, bars and cinemas on board as well as plenty of other amenities. There will be a swimming pool and a spa to help you relax after your days on the links. Many lines have welcoming cocktail parties on your first night aboard to help you get oriented and to meet the other guests. This is a great time to find out who you might like to play a round with and the playing levels of the other guests. They will also be a farewell party on the final night, where you will be able to swap tales of the best holes you have played and your favorite courses over the trip. There will be other gatherings during the trip for you to catch up with the other travelers and get acquainted with as many people as possible. 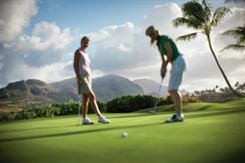 Golf cruises are a great choice for women looking to improve their game while enjoying the usual fun of a vacation. Whether you enjoy it alone, with a friend or in a group, you’ll come away from the trip with a new love for golf, new knowledge of the places you have visited and hopefully with a great tan. Here is some information about the top cruise lines that offer the most popular golf cruises.